– Use evergreens as winter landscaping. Add holiday lights for a more festive look. 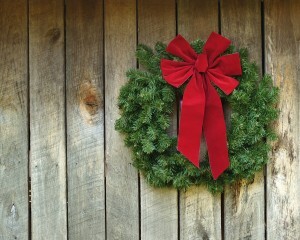 – Display holiday plants like poinsettias, holly and garland on your front porch or along the walkway. – Light the walkway of your home with landscaping lights, or with holiday lights and decorations. – Decorate a weather-proof or weather-resistant basket to place by your front door. 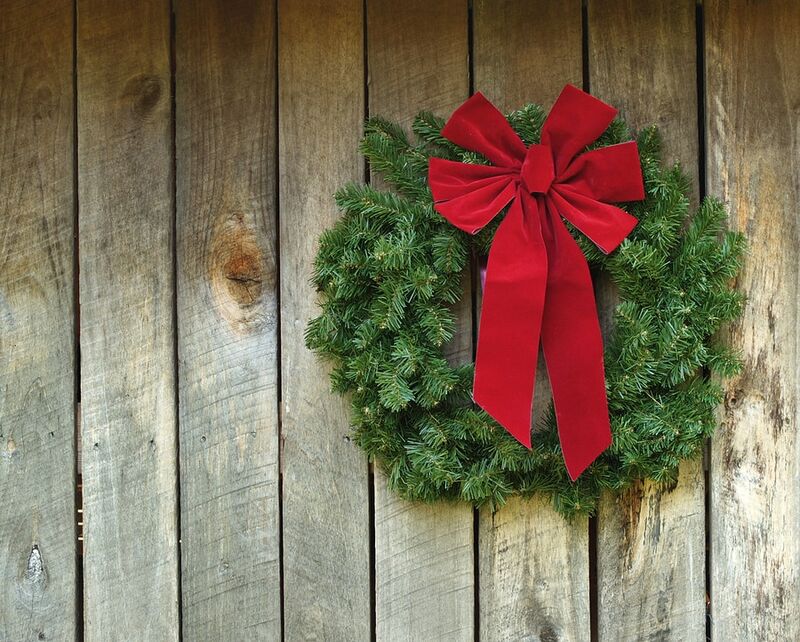 Add holiday greenery, pine cones, ribbons and bows, jingle bells or other seasonal favorites. – Add a neatly placed stack of firewood to your front porch for a cozy feel. – Clear your driveway, walkway and front porch of snow, and keep salt ready for inclement weather. This makes your home more attractive but also safer for your guests. – Hang a holiday-appropriate wreath on your front door — fall decorations or a cornucopia for Thanksgiving and winter decorations for Christmas. – Change your outdoor lighting for the holiday season. Consider colored lights or more intense outdoor lighting to showcase your beautiful home and illuminate the entrance. Thanks to American Home Shield for these great outdoor decorating ideas!